Moody’s has upgraded Hastings’s debt ratings and insurance subsidiary Advantage Insurance Company’s financial strength ratings by two notches. The upgrades have been triggered by Hastings’s initial public offering (IPO) last Monday, which has improved the company’s relative debt levels. 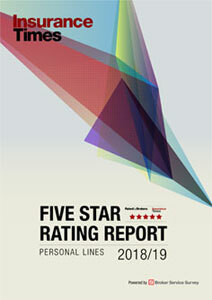 The ratings agency also praised Hastings’s “enhanced business franchise” and profitable growth over the past two years. Moody’s has boosted the debt ratings on Hastings Insurance Group (Finance)’s bonds to Ba3 from B2 and pushed up Gibraltar-based Advantage’s financial strength rating to Ba1 from Ba3. After the IPO, new group parent Hastings Group Holdings paid off £106.6m of the company’s £266m fixed-rate bonds. This, coupled with the IPO-related equity, has “significantly reduced” Hastings’s relative debt levels, Moody’s said. According to the rating agency’s calculations, the IPO has cut the ratio of internal net debt to operating profit to 2.5 times from 3.2 times. Moody’s added that the £182m of gross proceeds from the IPO, combined with the associated capital restructuring, have significantly boosted Hastings’s equity base. This has improved capital adequacy, which Moody’s says was “previously seen as a key credit weakness”. In addition, Moody’s noted that Hastings will use a portion of the proceeds to boost Advantage’s capital base ahead of Solvency II. Moody’s also noted that Hasting’s plans to use its new £300m credit facility towards repaying the remaining £159.9m of the fixed-rate bonds and all £150m of the floating-rate bonds, which will cut Hastings’s interest bill. 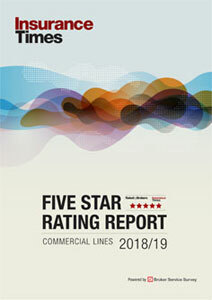 Moody’s says the ratings could be upgraded further if Hastings continues to grow profitably and generate a return on capital consistently above 8%, if Advantage maintains a Solvency II capital coverage ratio in excess of 150%, if UK home insurance becomes a bigger contributor to premiums and profits and if the group reduces its reliance on reinsurance. But the agency also warned they could be downgraded if there is a “significant and sustained” reduction in profitability, with combined operating ratios consistently above 100% and returns on capital below 6%, or if there is a material reduction in reinsurance capacity, affordability, or if the profit-sharing arrangements between Hastings and its reinsurers become less favourable.